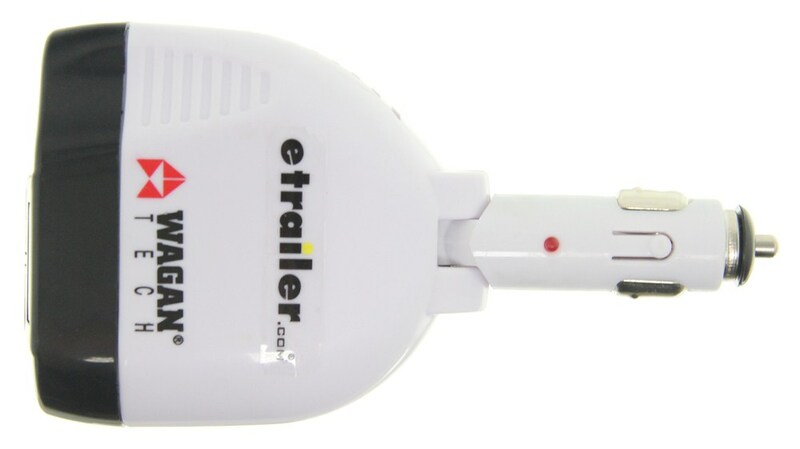 Call 800-298-8924 to order Wagan 12v power accessories part number WC2413-6 or order online at etrailer.com. Free expert support on all Wagan products. 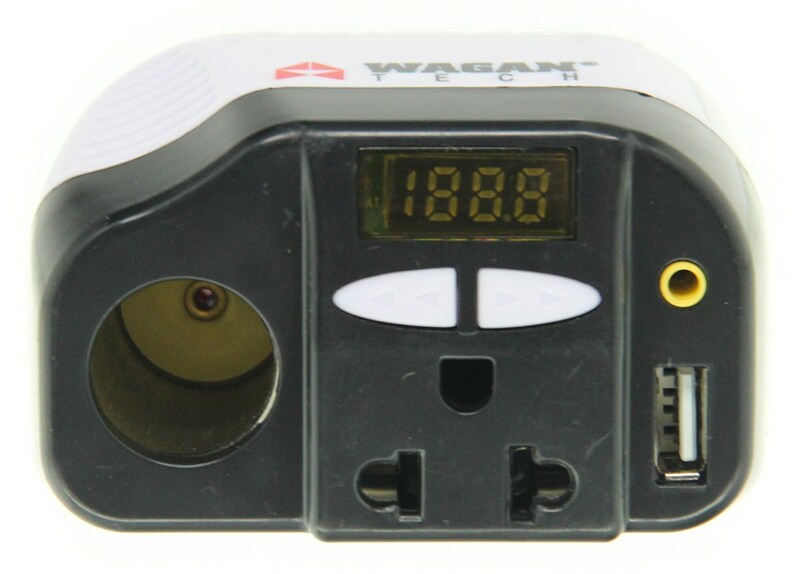 Guaranteed Lowest Price and Fastest Shipping for Power Inverter - 120 Watt with USB and FM Transmitter by Wagan. 12V Power Accessories reviews from real customers. 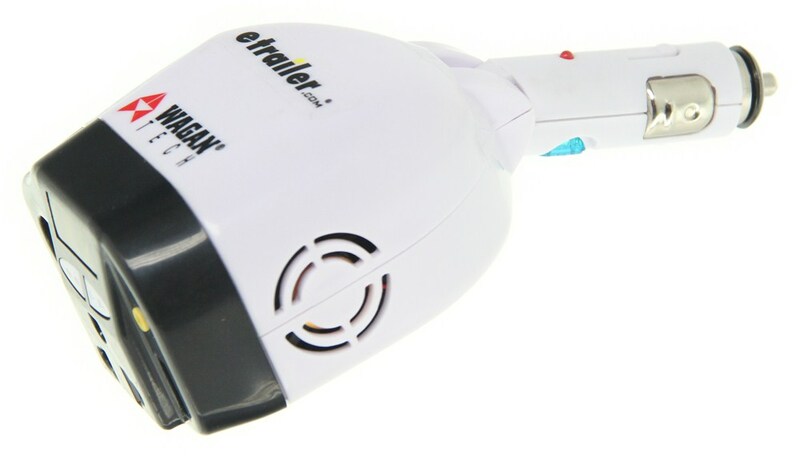 Convert DC power to AC power with this 100-watt inverter. 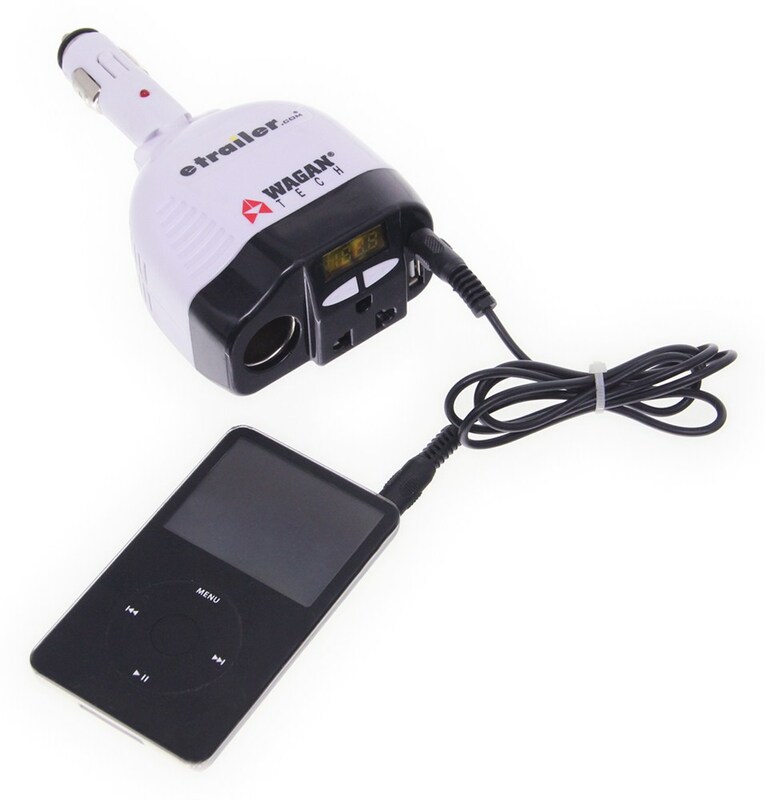 The inverter plugs directly into your vehicle's 12-volt DC accessory outlet and provides 1 USB port and 1 AC outlet so you can power and charge devices in your car. This Wagan inverter is powered from 12 volts DC and will continuously deliver 200 watts (400 watts momentary peak) AC power at 120 volts, 60 hz. Surge capability of 400 watts allows the inverter to start even the most difficult motorized appliances. 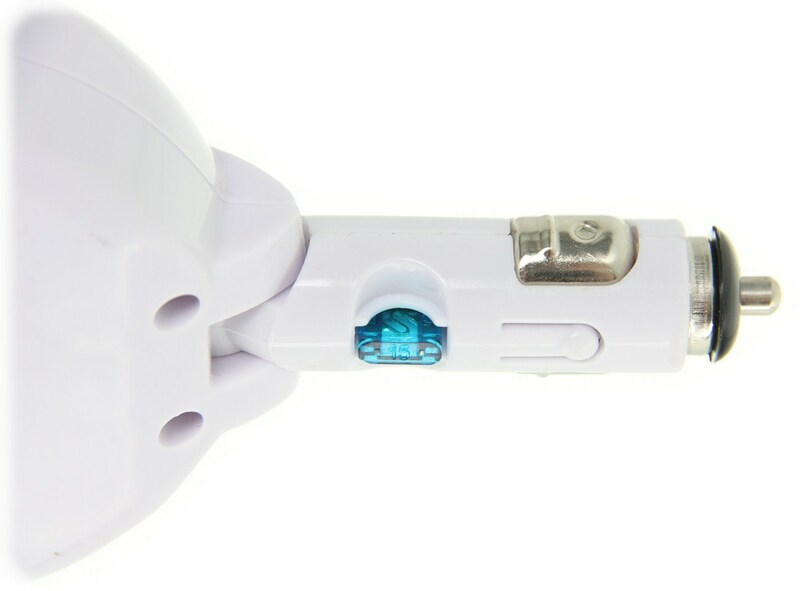 Do you have a question about this 12V Power Accessory? 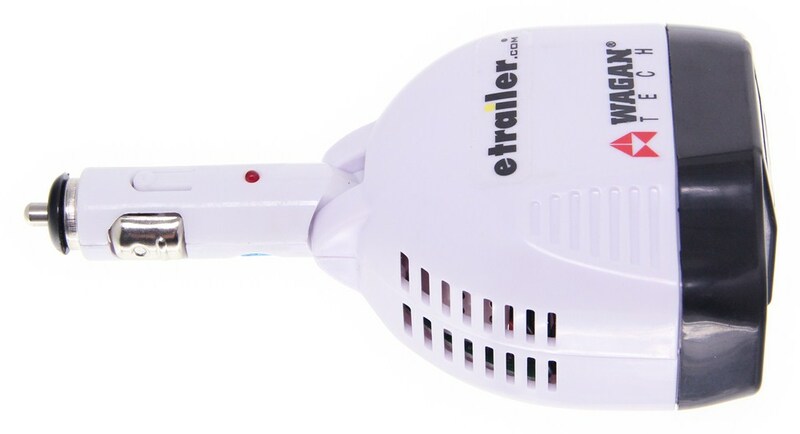 The FM transmitter is used to transmit a radio signal from the inverter, item # WC2413-6, to your vehicles radio so that you can hear the music from an MP3 player or similar device over the vehicles sound system. There is a audio input on the front of the inverter to connect the device. An iPod classic is not able to play music except through the headphone jack. There is no Bluetooth capability and the USB is only for charging and connection to your computer. You will either need to have the unit repaired or replaced for that input jack to work properly. 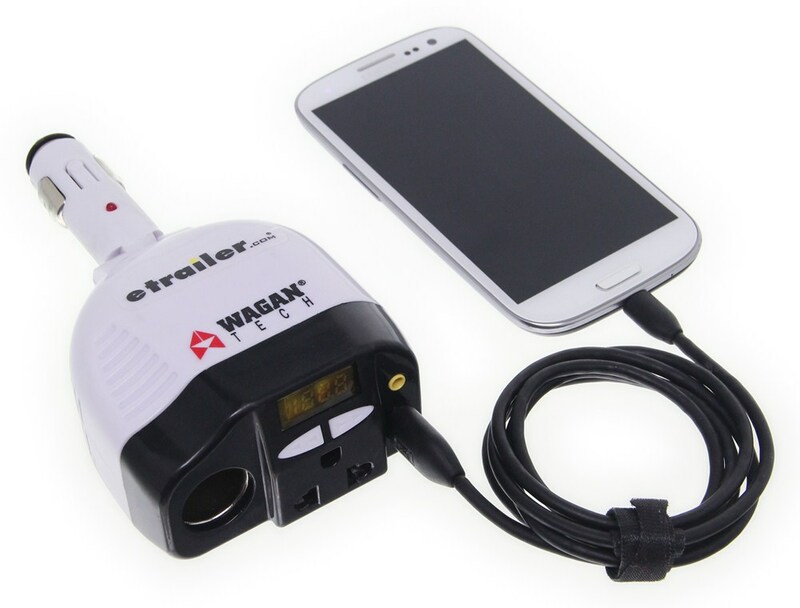 One other option is because the Furrion system has radio capability, you can use the Power Inverter - 120 Watt with USB and FM Transmitter by Wagan # WC2413-6 to send your audio to an available FM station. Highest quality 12v power accessories for the best price. 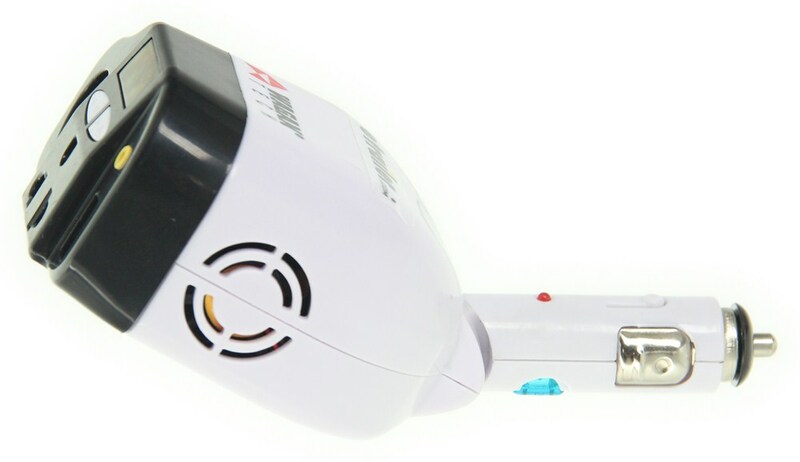 Most detailed, accurate 12v power accessory information available.